Global 1060G Hydraulic Operated Concrete Block Making Machine. 1. Fully automatic, with PLC control system. 2. 7 motors provide bigger vibration force, 23 seconds per cycle. 3. Method is platform vibration and up-mould vibration. 4. With pallets feeder, material feeder, block receiver and Diameter 1.5m concrete mixer. We bring forth Block Making Machines that find a vast application in making huge concrete blocks by most of the construction industries. 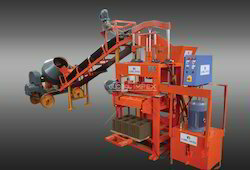 Hollow blocks, solid blocks, bricks, and interlocking pavers are produced by these efficient machines. 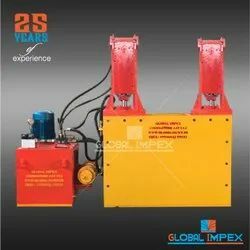 Owing to the quick and easy production, these global jumbo block making machines are quite popular among our customers. 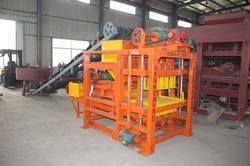 We are considered in the market to be one of the leading manufacturers and suppliers of this Concrete Making Machine. These machines are designed in compliance with the industry standards and are made using high grade material of construction. They are available to our clients in a variety of sizes and designs to fulfill all their needs and demands. 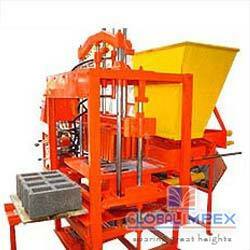 We are one of the prominent manufacturers and exporters of Hydraulic Concrete Block Making Machine. 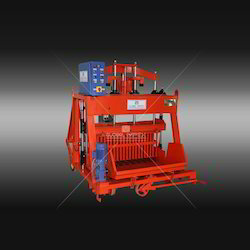 Offered machine runs on wheels and finishes the requirement of wood and steel pallets while producing various types of blocks by putting on the desired mould. 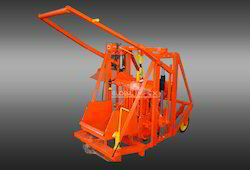 Made available in various specifications, these machines are used to manufacture interlocking pavers, hollow blocks, solid blocks, and bricks galore. 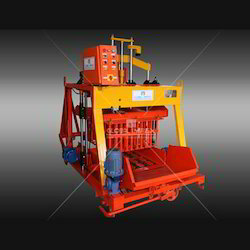 Manufactured using the latest technology machines and equipment, these Manual Movable Concrete Block Making Machine are quite popular in the industry. 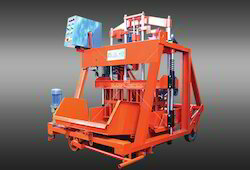 With an impressive rate of number of operations per hour, these manually movable concrete block making machines reduce the requirement of pallets and block handlers. 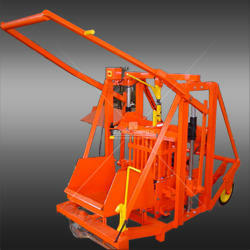 Offered machines can be availed at market leading rates. 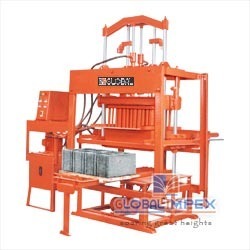 Block Size (Millimetre) 4", 6", 8"
Manufactured using quality raw materials and a number advanced machinery, this Global Block Making Machine manufactured by us is known for the high level of efficiency it provides. Widely used for the purpose of making and laying concrete blocks, eliminating the requirement of wood and steel pallets, this product is highly asked for in the market. Being one of the leading suppliers of this mixer machine, we process it through a number of quality checks in order to maintain the standard. 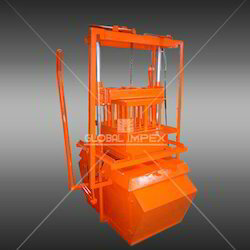 These SOIL INTERLOCK BLOCK MAKING MACHINE are used to make bricks from soil and concretre are thus used in the construction industry. These pan mixtures are widely used for mixing different types of raw material. These machines are known for strength, better service lives and are controlled by plc for effective control. 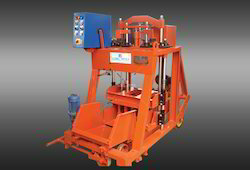 We are engaged in offering Double Block Making Machine manufactured in compliance with industrial standards. Operating on a powerful vibra_tor motor, these machines are manually operated and produce fine quality concrete blocks with sharp edges and accurate specifications. 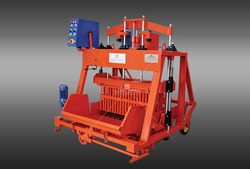 Our clients can avail these machines at reasonable rates. 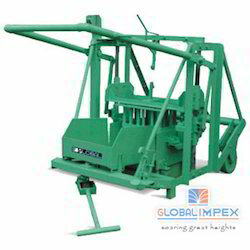 This is an inexpensive manual block laying machine. 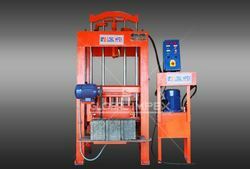 The machine is perfect for a start up, small scale block maker, who needs more production and better quality blocks. Blocks are laid on a concrete floor and machine is moved to the next laying. This procedure eliminates the need for pallets and block handlers who would usually remove the green blocks and pallet from the machine, before additional blocks can be made. Any type of ram and mould can be fitted into the machine. Custom moulds can be made to you specifications. This machine can be fitted with a 1. 5 hp. , 2800 rpm electric motor or a 4. 4 hp diesel motor with clutch and throttle controls for the vibra_tor. 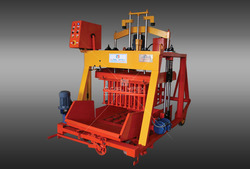 We are one of the distinguished manufacturers and exporters of Hydraulic Operated Concrete Block Making Machine. 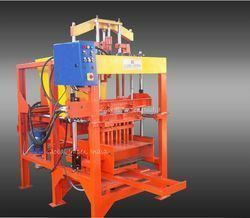 Made available with a varied range of moulds, these stationary block making machines are widely used in making solid or hollow concrete blocks. Offered machines are quite efficient in their performance owing to the specifically designed circuits.